With a stay at Cancun Bay Resort - All Inclusive in Avenida Kukulkan (Hotel Zone), you'll be minutes from Linda Beach and close to Museum of Popular Mexican Art. This all-inclusive resort is within close proximity of Escenica Tower and Las Perlas Beach. Make yourself at home in one of the 132 air-conditioned rooms featuring minibars and LCD televisions. Rooms have private balconies or patios. Cable television is provided for your entertainment. Private bathrooms with showers feature complimentary toiletries and hair dryers. Dip into one of the 2 outdoor swimming pools or enjoy other recreational amenities, which include a fitness center. This Beaux Arts resort also features complimentary wireless Internet access, concierge services, and babysitting/childcare (surcharge). Guests can catch a ride to nearby destinations on the area shuttle (surcharge). Grab a bite to eat at one of the resort's dining establishments, which include 5 restaurants and a coffee shop/café. 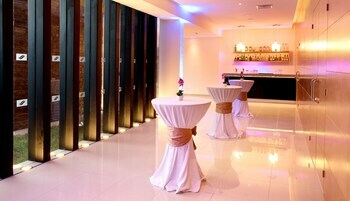 Mingle with other guests at a complimentary reception, held daily. Relax with a refreshing drink at a beach bar, a poolside bar, or one of 2 bars/lounges. A complimentary buffet breakfast is served daily from 6:30 AM to 10:30 AM. Featured amenities include dry cleaning/laundry services, a 24-hour front desk, and multilingual staff. 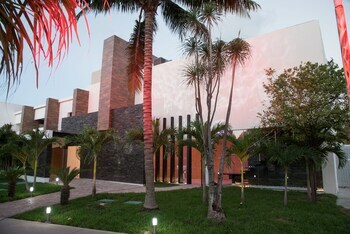 Planning an event in Avenida Kukulkan? 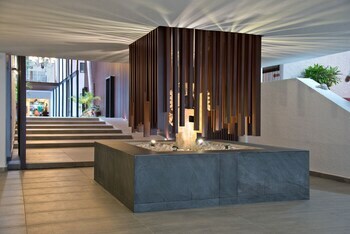 This resort has 1970 square feet (183 square meters) of space consisting of a conference center and meeting rooms. Free self parking is available onsite. 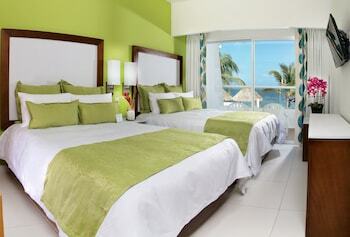 Cancun Bay Resort is an ideal Cancun lodging choice for your trip to Mexico. With numerous amenities for guests such as 24 hour front desk, gift shop, jacuzzi or spa, you will wake up at Cancun Bay Resort feeling ready to go every day for your time in Cancun. Don’t let this amazing reservation opportunity pass you by, book your stay at Cancun Bay Resort today to make the most of your time in Cancun, Mexico.